Six years ago if you had asked me what sprinting and hill climbing was my answer would have included athletics and high power 4WD cars. Quite why I had no knowledge of the Sprint and Hill climbing side of motorsport is surprising as I grew up with motorsport, both four and two wheel varieties. 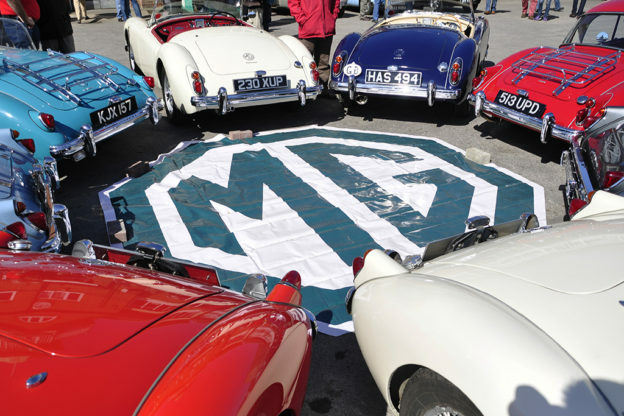 Having a father who was a development engineer at the Abingdon MG factory meant that cars and motorsport were never far away. Growing up I remember rallycross meetings, days out at Silverstone to see dad’s mates racing and a number of race cars being worked on in the garage. One car was 138 DMO which some of you may know has some legendary race history, it was owned Bob Neville and driven by him and Roger Enever, but that’s another story. One early memory for me was a trip to Scotland with a family friend who accompanied us for the holiday in his MG Midget. After having been passenger around the highlands in his orange 1275 Midget the desire to own one was set in my mind. So when my father said come and have a look at the latest project back in 2012 I was even more interested than usual as I knew it was a Midget. Then when I saw that it was no standard car but a road legal racer I was on board. 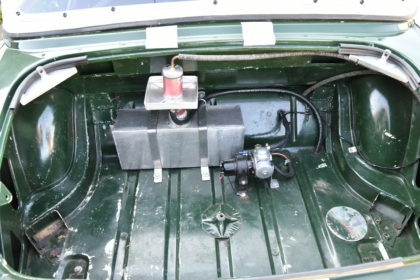 The plan at that time was rebuild the car and tidy it up while thinking about what to do do with it when finished. The rebuild probably took about six months at the end of which I got my first drive. It was not what I expected, this was nothing like the trip to Scotland. This Midget was noisy, uncomfortable and difficult to keep going at anything like low speed. Needless to say I was hooked, here was a car I had always wanted to have but with more potential for fun than I ever imagined. So the next stage was a track day to see what it could do and to help us decide how best to use the car. Our local track day venue is Abingdon airfield so we booked in and gave the car a run. It was not a complete success the car was not running well due to carburettor issues, I managed to spin it and although I was trying to go fast I ended up holding up the other drivers. Track days were not going to be the answer. The answer turned out out to be Sprinting and Hill Climbs after another of fathers mates suggested we give it a try. The idea of being able to use the car to its limits to be in competition with the clock and have the opportunity to drive the best circuits in the country felt right to us both. So “Team Clark Racing” was born, I was going to drive and father was going to be chief mechanic responsible for special tuning to give us a competitive edge. So over the winter of 2012 we did some homework on events, clubs, championships, regulations and a licence. Then in 2013 we were ready for the first meeting which was at a small sprint circuit at Rushmoor being run by the Farnborough club. It was mid March cold damp and dark. I was using a borrowed helmet, race suit and gloves as until I had actually tried it I was not going to fully commit. It was not the best of starts to our new hobby, the track was so damp they needed to remove moss from some areas before practice. I did however try to keep the car on the track and only over did it twice! To top it all dad went down with the flu and I dropped the helmet I had borrowed. On the positive side everyone was friendly and happy to answer our questions which was good as we were a bit lost at first. That first season in the Luffield Sprint Championship only included Rushmoor; Abingdon and Llandow before being cut short by my broken foot following a motorcycle accident. Shortly after which the bike was sold and I decided the Midget was to be the focus of my attention. 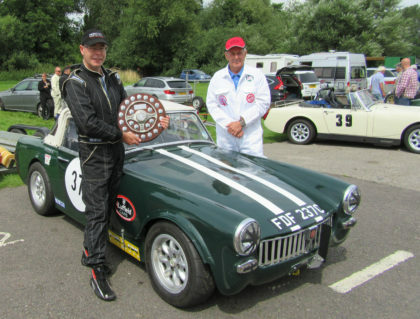 Team Clark has now completed a further four seasons and is now in the sixth in what is now called the MG Car Club Speed Championship. So far we have limited the travelling to no more than 100 miles from home. 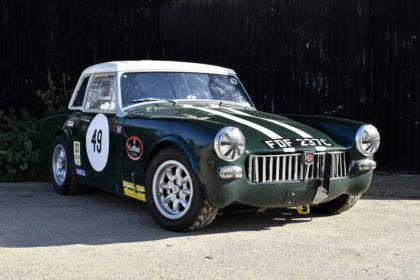 Even with limited travelling we have been able to compete at some world famous circuits and hill climbs including Prescott, Goodwood, Shelsley Walsh and Silverstone. This for me has been one of the attractions of the sport. To be able to take your car around these circuits and on these hills in the company of some like minded friendly people is amazing. I have to say that the people you meet at these type of events and especially in the MG Championship are another reason why we will keep coming back. We have made some really good friends in the short time we have been competing. This does not mean things are not competitive, they are, very much so. This is the other side of the these competitions, they are competitions, but with a difference. The difference being that for the most part you are competing with yourself. It’s amazing how hard you try to beat your previous best time when returning to a circuit or hill. It not so much matters how quick or slow everyone else is, am I quicker than before? that’s what counts. So how to improve your times, this becomes the question we are all working on. For me it’s been mostly about learning how to drive the car fast but within my limits. For my father it’s been about improvements to the car year on year. When it comes to the end of the season we decide what modifications we can do over the winter to give us better times. 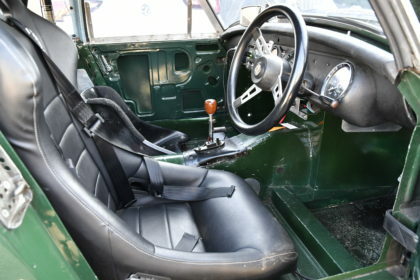 As I said at the beginning our car started out as a racer so its not been standard since we had it. This does not mean we’ve had trouble working out how to improve it though. 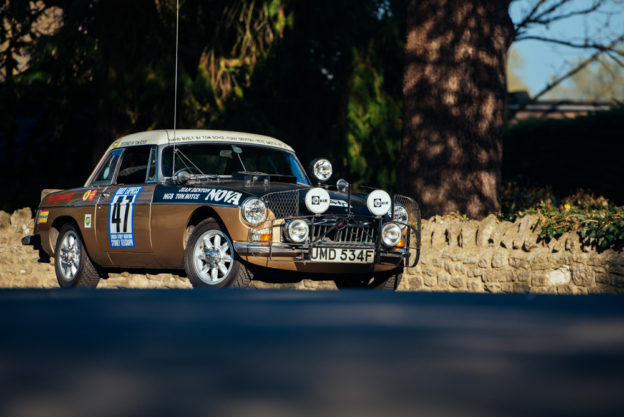 Modifications have included simple things like soft compound tyres right up to adding a fibreglass front, race cam and many, many other things. In fact the car was the midget register car of the year 2017 so we must be doing something right. Having a modified car is one option but there are classes for standard cars as well so this helps keep the cost down. 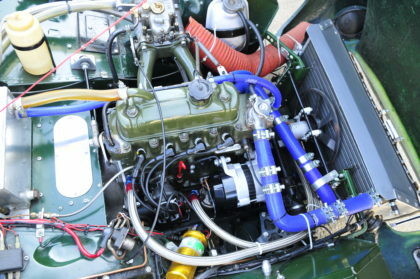 In fact many people use road legal cars that they drive to the event making it the most affordable motorsport on offer. So perhaps you’re thinking you would like to see first hand what grassroots motorsport looks like or even want to give this sport a try. Here’s my suggestion, get along to an event and see for yourself. 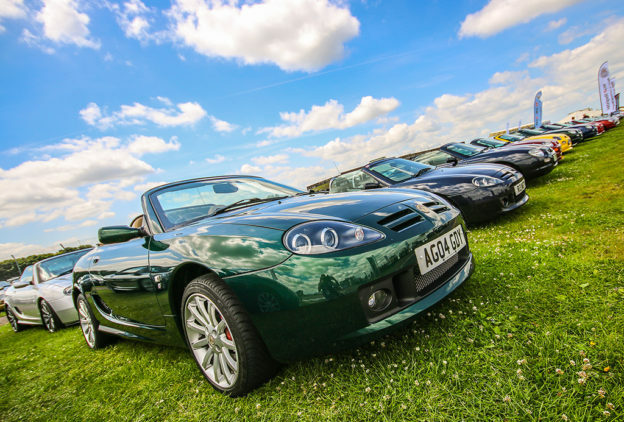 A good way to find out what’s on would be to visit the MG Car Club Speed Championship website and check out the calendar of events. 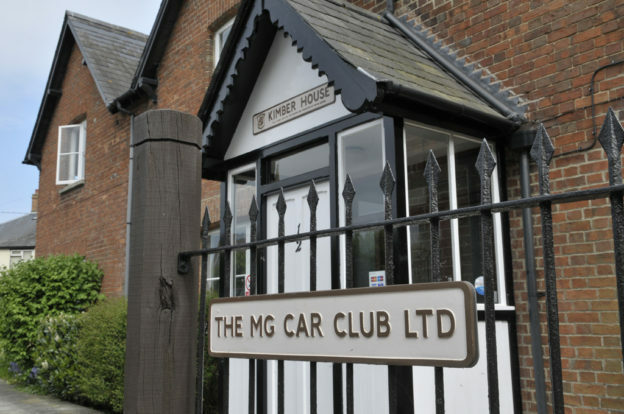 As you are reading this in the MG Car Club’s magazine chances are you have one or enjoy them so this way you will find some friendly MG people to natter too. The events take place right across the country and some are even free to the public but check online first. 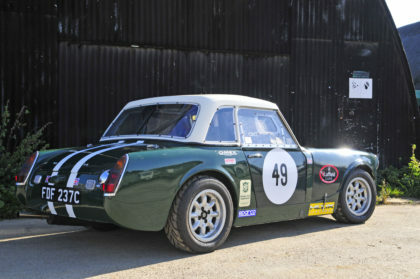 To see the Midget in action why not visit Peter’s YouTube channel here. MGLive! 2016 Sprint – Entries are now open! 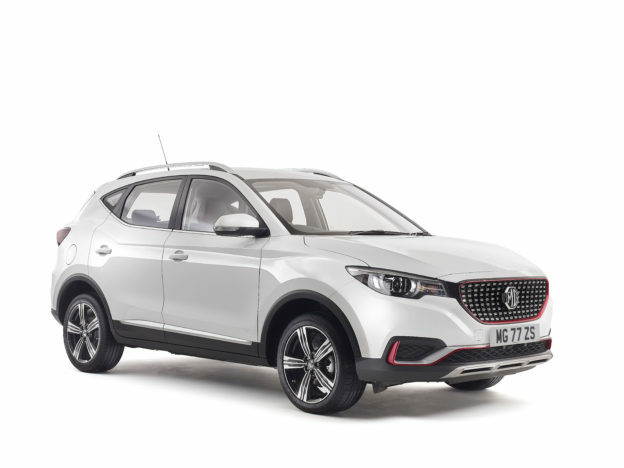 MG MOTOR is pleased to announce a year-long pop-up dealership residency at one of the UK’s most successful shopping centres, Westfield Merry Hill.